Construction Optimize provides social media marketing solutions to the construction industry. Social Media sites are no longer optional for business. They are a necessity. Each social media platform serves a unique purpose. Most companies are using LinkedIn for hiring purposes, and it is also a great site for networking. Facebook is a great site for stimulating emotional conversations as well as establishing relationships and having your customers “like” your business or product. Build your Twitter account as a resource for people who are looking for answers in your industry. This will help create followers into customers. Read articles on social media from our blog. Contact us now to get social with your customers. 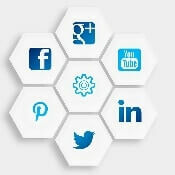 We can help decide which social media platform is best for you.